Delicate pale gold in colour, the bouquet is subtle shortbread and nutty overtones from yeast influence, combined with floral and raspberry highlights from the pinot noir/meunier grapes. This is complimented with delicate citrus and pear influence from the chardonnay grapes, the overall impression is spice with creme brulee aromas. The palate is generous and multilayered, with fruit weight, finishing with a crisp and lingering acidity. Delicious when enjoyed with Tasmanian oysters and blinis with smoked salmon and horseradish cream. 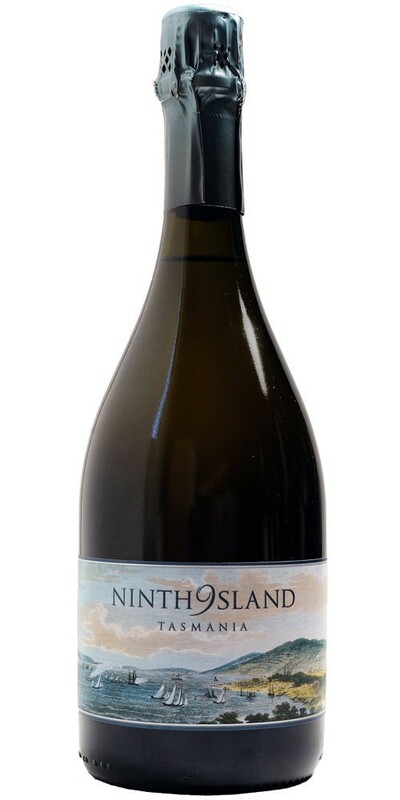 Ninth Island, although often shrouded by ocean mists, is visible from this label's vineyards in northern Tasmania. The island is a wildlife refuge for penguins and a vast array of native bird life, while the waters surrounding it play host to a variety if sea life including dolphins and seals. Ninth Island is part of Kreglinger.